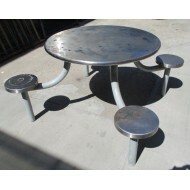 Jail Round Table-Four Seat 42" Diameter Table 75" Stool to Stool 12"x19.5" High.. 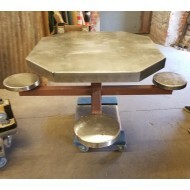 Jail Pedestal Table-Four Seat 40"x40"x31" Table 66" Stool to Stool 12"x18" High.. Jail Desk with Attached Stool (4 Available) .. 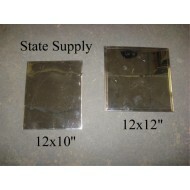 Jail Mirror with Shelf .. Jail Phone Attica (1 Available) .. 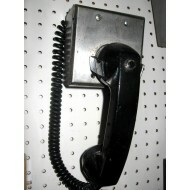 Jail Phone Litchfield 3 Available .. Jail Phone Sing Sing (3 Available) .. Jail Stool 18" high .. 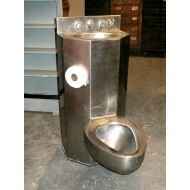 Jail Toilet Sink Combination Unit .. 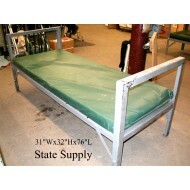 Jail Bench 8 feet Metal with Handcuff Rings .. 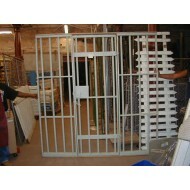 Jail Bars w/Door (wood) 7x7 .. Jail Bars Wood 48 x 98" (3 Available) ..